It's very common to want to store a scene from a film, whether as a photo or as a small animation that allows the user to enjoy it as many times as he/she wants. And for these two cases it will be possible to use Video-AVI to GIF/JPEG Converter. 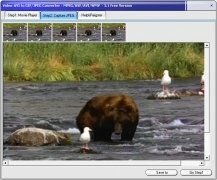 Video-AVI to GIF/JPEG Converter is extremely easy to use, because it will only be necessary to load the video that is going to be transformed (with the possibility to choose between AVI, WMV, ASF or MPEG), and to decide what you want to obtain, an image (JPEG) or an animation (GIF). GIF: it's necessary to select the moment at which it will start and the moment when it will finish, and once it has been created it will be possible to eliminate the unwanted frames, adjust the color to shades of grey or reduce the size of the animations. JPEG: regarding photos, the program offers fewer options because it actually only offers one, but not less important, because it will show the user five different frames from which to choose from before storing it. Therefore, if you want to enjoy your favorite scene as an animation or snapshot, you only have to download Video-AVI to GIF/JPEG Converter. You need to install the corresponding codecs. 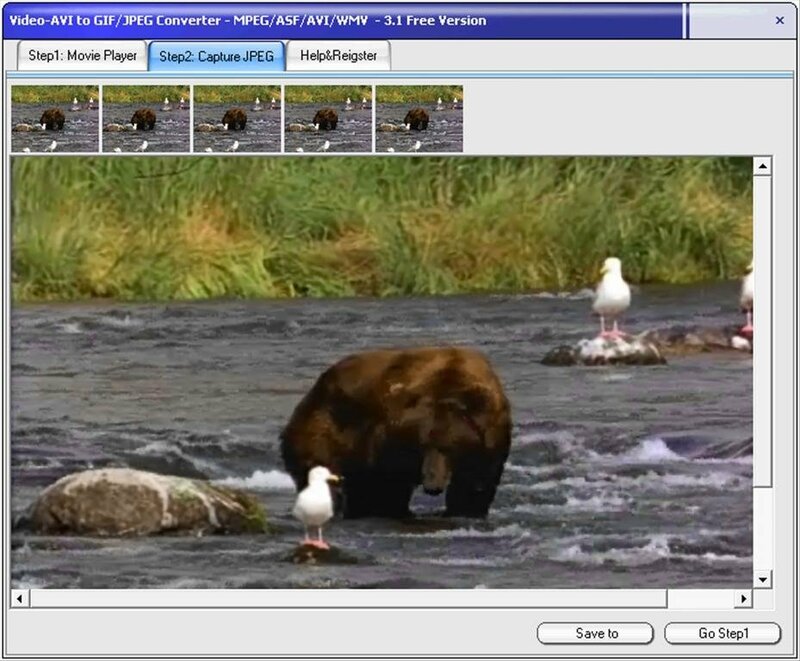 The trial version adds a watermark to the GIF animations and the JPEG images stored.